You'll be shown twenty names. 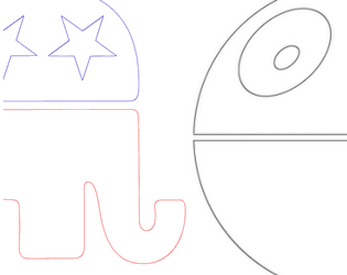 Choose whether you think they're a character from Star Wars or a member of the US Republican party. Can you achieve the rank of President Space Wizard? I'm not gonna record a commentary vid for this one because there's really not much to say! A poster on a forum I frequent, balistic (thanks Brian!) made the observation that a lot of Republicans have names that sound like Star Wars characters, so I did a thing! This quiz is really totally unfair for Star Wars fans because it only features super obscure one-off characters I found on Wookiepedia, but if you're a US politics nerd, you might do ok.